Crackle Garden — Landworks Studio, Inc. 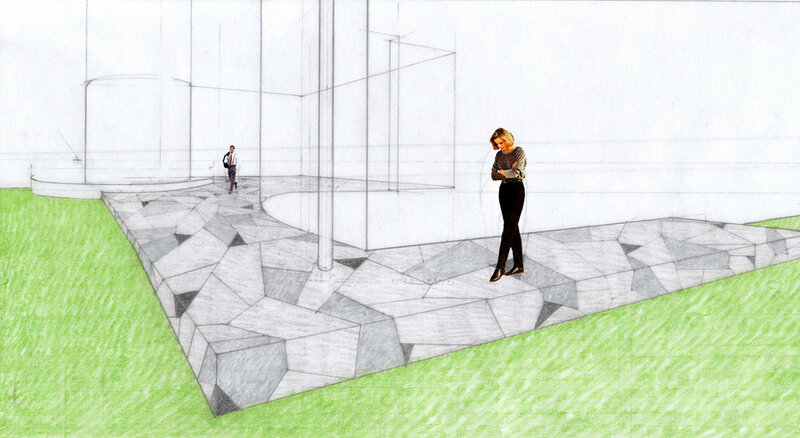 This residence instills an environment of social and ecological dynamism to a pre-existing clear-cut, continuous lawn. Radial terracing emanating from the house floorplan create outdoor family spaces and reinstitute an ecological edge to the surrounding hardwood forest. Bands of stone structure a fluid site circulation and form spaces for cooking, swimming, playing, resting, and exploring. 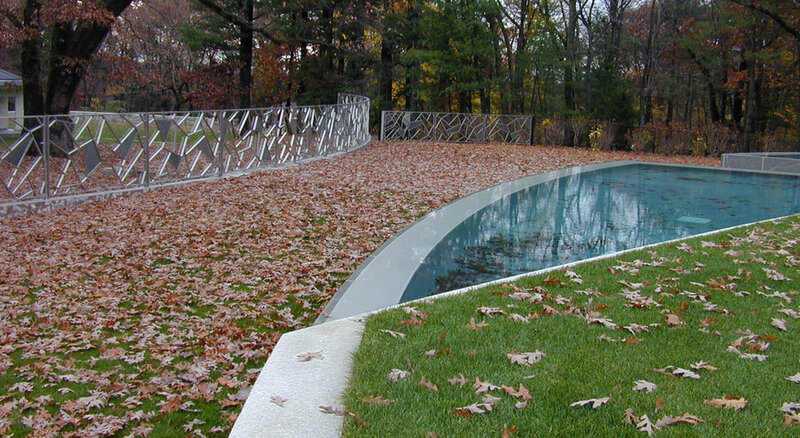 A mass of stone slabs at the head of the pool echoes and abstracts a natural stone outcropping beyond, and acts as a visual transition from the finely honed hardscape to the surrounding lawns and gardens. The planting plan balances areas of open lawn, a texturally-diverse palette of canopy trees, and several garden types suited for the site’s many microclimates. Crevices in the sun-exposed outcropping are planted with fragrant drought-tolerant species, while dozens of shade-tolerant perennials in the heavily shaded drive court bloom continuously from early spring to the fall.